The whistleblower, Tricia Newbold, told Congress that security clearance applications for White House officials "were not always adjudicated in the best interest of national security." A whistleblower has told the House oversight committee that the Trump administration overruled at least 25 security clearance denials made by career government employees, and the committee will subpoena a key official as part of its investigation into the allegations, the committee chairman said Monday. 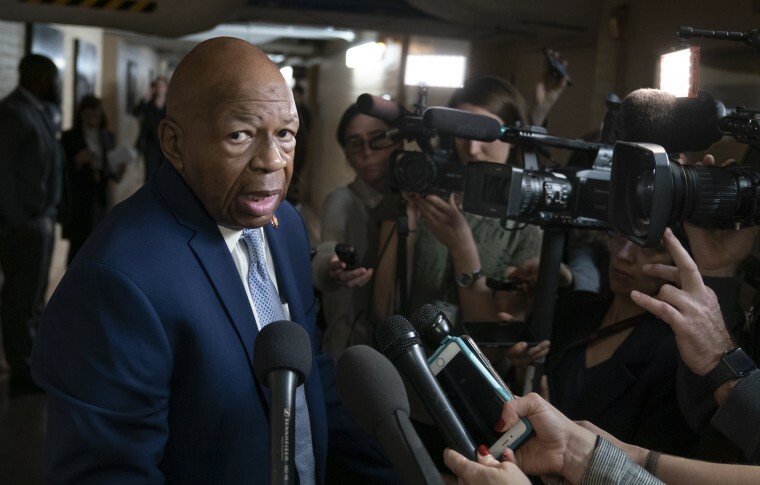 House Oversight Committee Chairman Elijah Cummings, D-Md., said in a letter released Monday that the whistleblower, Tricia Newbold — a security specialist in the White House — told members of his committee in an interview that the Trump administration's decisions to overturn clearance denials issued by her office could jeopardize national security and that coming forward marked her "last hope" to "bring the integrity back into" the office. "She has informed the Committee that during the Trump Administration, she and other career officials adjudicated denials of dozens of applications for security clearances that were later overturned," Cummings wrote in a letter to White House Counsel Pat Cipollone. "As a result, she warned that security clearance applications for White House officials 'were not always adjudicated in the best interest of national security,'" Cummings wrote. "She also reported to the Committee that she has been targeted for retaliation after declining to grant security clearances based on longstanding national security protocols." NBC News, citing multiple sources familiar with the matter, reported in January that specialists were overruled more than 30 times, including in the case of the president's son-in-law, Jared Kushner. The New York Times reported that Trump personally ordered that Kushner be given a clearance—something experts agree the president has a legal right to do. But experts also say it is unheard of for the president or his political appointees to overrule the adjudications of career security specialists. NBC News reported in February on a whistleblower complaint filed by Newbold in which she accuses her supervisor, Carl Kline, of granting clearance approvals despite concerns raised in background checks. The committee will subpoena Kline — who served as the personnel security director at the White House during the first two years of the Trump Administration — Tuesday, Cummings said. Kline, who left his role at the White House and now works at the Pentagon, has not responded to repeated requests for comment by NBC News. The White House did not immediately respond to a request for comment, but has argued that security clearances are an executive branch matter that are not subject to congressional oversight. Cummings revealed in the letter that Democratic members of his committee had conducted a "detailed, on-the-record interview" with Newbold, who works as the adjudications manager in the Personnel Security Office, a position that allows her to handle security clearance determinations for senior officials in the White House. Newbold came forward and "agreed to identify herself publicly at this time because she strongly believes that Congress must intervene immediately to safeguard our national security," Cummings wrote. "She implored the Committee to act now, warning that 'this is my last hope to really bring the integrity back into our office,'" he wrote. In addition to one for Kline, Cummings said he could issue more subpoenas, and that his committee will seek to interview other current and former White House employees, including former Chief Security Officer Cory Louie, Chief Operating Officer Samuel Price, former Deputy Chief of Staff Joseph Hagin, and Deputy Director of Administration William Hughes. Cummings letter demands the security clearance adjudication rulings by career staff on current national security adviser John Bolton; former national security adviser Michael Flynn; former National Security Council aide Sebastian Gorka; Kushner, former Trump "body man" John McEntee; former deputy national security adviser K.T. McFarland; former staff secretary Robert Porter; former NSC aide Robin Townley; and the president's daughter, Ivanka Trump. In the case of Kushner, both FBI and CIA background checks flagged concerns about his family's business, his foreign contacts, his foreign travel and meetings he had during the campaign, sources told NBC News. Through his attorney, Kushner has repeatedly declined to comment on his clearance adjudication. Rep. Jim Jordan of Ohio, the top Republican on the House Oversight Committee, said in a statement that it was "extremely unfortunate and disappointing that" Cummings was "using this sensitive topic as a pretense for a partisan attack on the White House." Jordan accused Cummings of not giving committee Republicans sufficient time to prepare for the interview with Newbold and said Monday's letter "mischaracterizes the information shared by Ms. Newbold." “Her testimony focused on a series of personnel and workplace complaints that suggest she is unhappy and dissatisfied in her office,” the unsigned memo stated of Newbold. House Intelligence Committee Chairman Adam Schiff, D-Calif., said his committee will support the investigation. "The president has the authority to override security clearance adjudications, but Congress has a responsibility to provide rigorous oversight when the president allows politics or nepotism to intrude into the security clearance process and place at risk our nation’s security," Schiff said. NBC News, citing sources familiar with the matter, previously reported in February that Newbold was seeking official whistleblower protection from the federal government after raising concerns about "unwarranted security clearances" for Trump administration officials, including Jared Kushner. Kushner's was one of at least 30 cases in which Kline overruled career security experts and approved a top-secret clearance for incoming Trump officials despite unfavorable information, two sources told NBC News at the time. Newbold filed her whistleblower complaint less than two weeks after she was suspended without pay for defying her supervisor, Kline. Documents from the White House signed by her supervisor and viewed by NBC News show that in Newbold's 18-year career she had not faced any prior formal disciplinary action. The complaint, which was obtained by NBC News, alleges Newbold raised concerns with Kline about a security clearance for an individual as early as July 2017. The complaint does not identify the person, but sources familiar with the situation told NBC News that it was Kushner, the president's son-in-law and adviser. Adam Edelman is a political reporter for NBC News. 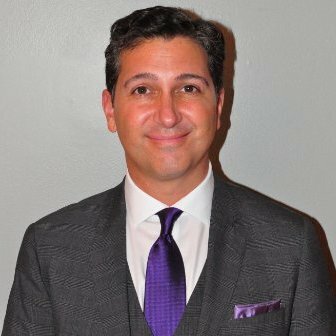 Ken Dilanian is a national security reporter for the NBC News Investigative Unit. Laura Strickler is an investigative producer in the NBC News Investigative Unit based in Washington.